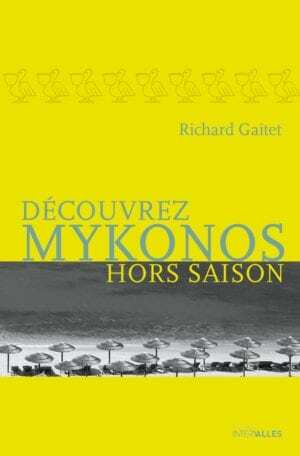 Richard Gaitet was born in 1981. Admired throughout Europe for his very personal practice of sirtaki, he has hosted Radio Nova’s Nova Book Box since 2011. Written under the pseudonym of Gabriel Robinson, his first novel, Les Heures pâles, was published in 2013 by Intervalles. Attracting almost 400,000 visitors every year, from May to September the peaceful little harbour of the Cyclades becomes a tourist paradise, with plenty of pleasurable things to do (sun bathing, dancing, partying, eating feta cheese to name but a few…). But what about March? Is there even one club open after midnight then? Somewhere between comedy and fantasy, this furious, alcoholic epic combines Hunter S. Thompson’s gruesome sense of humour with the mysterious atmosphere of the series Lost.